I was completely unaware of the number one animated series for the past three years among kids and tweens until a few months ago. While in a hotel room in San Antonio, Texas, I had the Disney channel on for Riley while we were grabbing a bite to eat and freshening up. That's when I saw Phineas and Ferb for the first time. Even though the plot is much too complicated for a toddler, even Riley seemed to find this show entertaining. Well, if you or your children are Phineas and Ferb fans, keep reading to learn more about how Disney is cranking Phineas and Ferb mania to a fever pitch this summer! 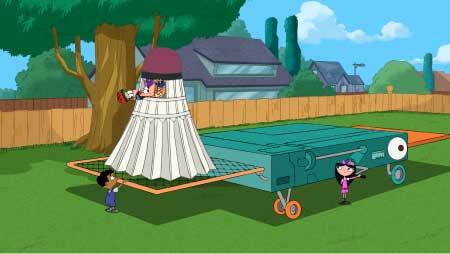 Phineas and Ferb is the animated series that follows two stepbrothers, Phineas Flynn and Ferb Fletcher, as they happily set out to conquer boredom and make every day of their 104-day summer vacation count. Throughout the escapades, they're accompanied by Perry the Platypus, their seemingly mindless family pet who, unbeknownst to all, has a double life as suave secret Agent P, deftly battling the evil Dr. Doofenshmirtz to save the world. Meanwhile, older sister Candace is aghast at her brothers' bold antics and makes it her life's work to tattle on them to Mom and Dad, though somehow she can never seem to catch the boys red-handed. In the Disney Channel Original Movie, "Phineas and Ferb: Across the 2nd Dimension", Phineas and Ferb go on their biggest journey yet, into another dimension! 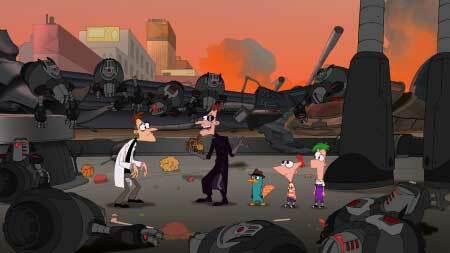 When the boys finally discover that Perry is in fact a secret agent who battles the forces of evil daily, they join him on a grand adventure that blasts them to another dimension where Dr. Doofenshmirtz has taken over an alternate Tri-State Area. When they uncover his ploy to travel back to their dimension to take over their Tri-State Area, the gang, as well as their alter-egos, must band together to stop him. So, how can you see this hair-raising movie for yourself? Be sure to tune in for the premiere of "Phineas and Ferb: Across the 2nd Dimension" on Friday, August 5th (8:00 PM Eastern) on the Disney Channel and Saturday, August 13th (10:oo AM Eastern) on Disney XD. 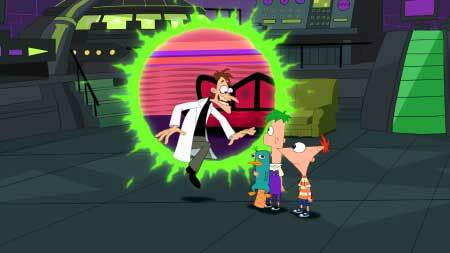 The soundtrack "Phineas and Ferb: Across the 1st and 2nd Dimensions" available August 2nd through Walt Disney Records. "The Movie Game: The Dimension of Dooom!" and a "2D Yourself" activity that allows users to create a custom avatar to explore the 2nd Dimension, among other digital experiences. A video game inspired by the movie, for the Wii system, Nintendo DS family of handheld systems and PlayStation 3 computer entertainment. A special junior novel, joke and novelty book, and an official 96-page magazine. "Phineas and Ferb: We're Making a Movie", an interactive live entertainment experience starring Phineas and Ferb, at Disney's California Adventure and Walt Disney World's Hollywood Studios. Disney's Phineas and Ferb: The Best LIVE Tour EVER! ", a live touring stage show produced by Feld Entertainment that will play in more than 80 hometowns across the country. "Phineas and Ferb" action figures, apparel, accessories, grocery and health and beauty products, and more! On July 11th, in New York City, Disney launched the "Perry the Platy-bus On Tour", featuring a 27-foot long, customized, rounded aluminum Airstream trailer outfitted stem-to-stern as Phineas' and Ferb's teal-colored pet platypus. Perry the Platy-bus is on a coast-to-coast journey from New York City to San Diego's Comic-Con International and the Disney D23 Expo in Anaheim. During "Perry the Platy-bus On Tour", fans are invited to marvel at nearly 4,000 pounds of Perry (complete with a bill, tail and googly eyes), come aboard, play the exciting new Unity 3D video game, "The Movie Game: The Dimension of Dooom!" and video console games, sing Perry-oke and more. There is no admission charge. So as you can see, this summer is heating up with a Phineas and Ferb fever, thanks to the Disney Channel! 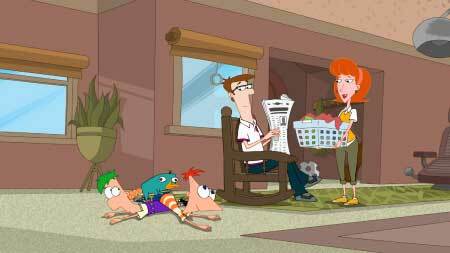 If you and your family love Phineas and Ferb too, make sure to tune in to Phineas and Ferb's biggest journey yet with the original movie, "Phineas and Ferb: Across the 2nd Dimension"! Disclosure: I received a Phineas and Ferb prize pack from the Disney Channel and Team Mom in order to facilitate my review. No other compensation was received. This product review is based on my own personal experiences with this item and is completely honest and objective.